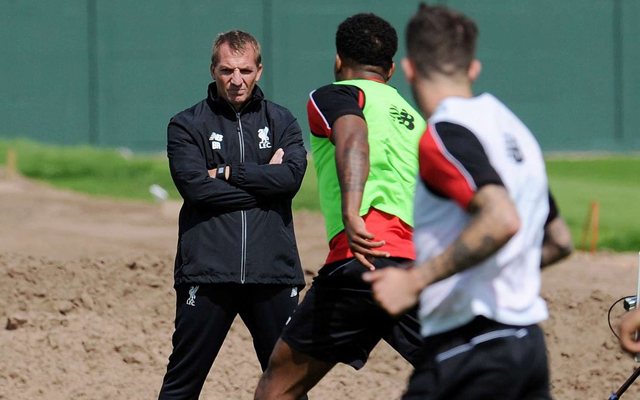 Liverpool expert Tony Barrett has expressed his belief that the Reds will name a new captain and vice-captain on Friday. 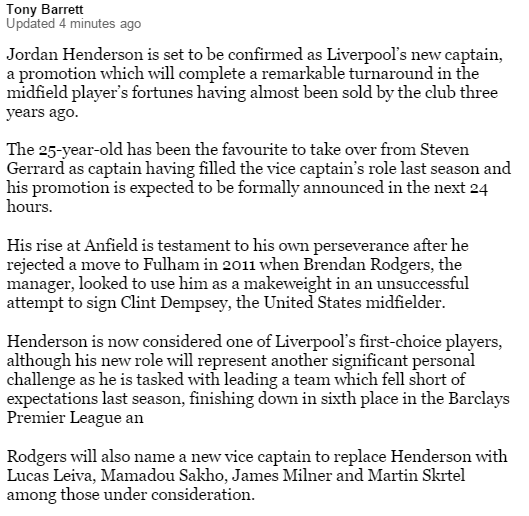 Barrett, who writes for The Times, expects Jordan Henderson to replace Steven Gerrard as skipper with one of four candidates likely to become his understudy. The Brazilian is certainly one of the more experienced members of the squad and should command the respect of the dressing room. He’s clearly a likeable character and his appointment is unlikely to cause many problems in this respect. The issue is whether he’d play enough games to be able to command the role. There’s a lot of competition for him in midfield and injuries have also taken their toll over the last couple of years. He’s still an important presence in the dressing room but perhaps he’ll have to make do without an official title.